My friends at KaBOOM! are encouraging us all to take a pledge for play. What a magnificent idea. The pledge means a commitment of time on our part, time well spent with our children exploring their abilities, their potential, their laughter, their fun. I believe that my child needs to play outdoors, every day. Regular play outdoors makes children happier, healthier, smarter, more socially adept, more independent, and more creative. By pledging today, I add my voice to the growing movement of fathers who are committed to restoring play to childhood. I’m in Toronto on business and took Kerala’s call to action to heart. Serendipitously, I have a daughter here who I was able to do some playgrounding with. 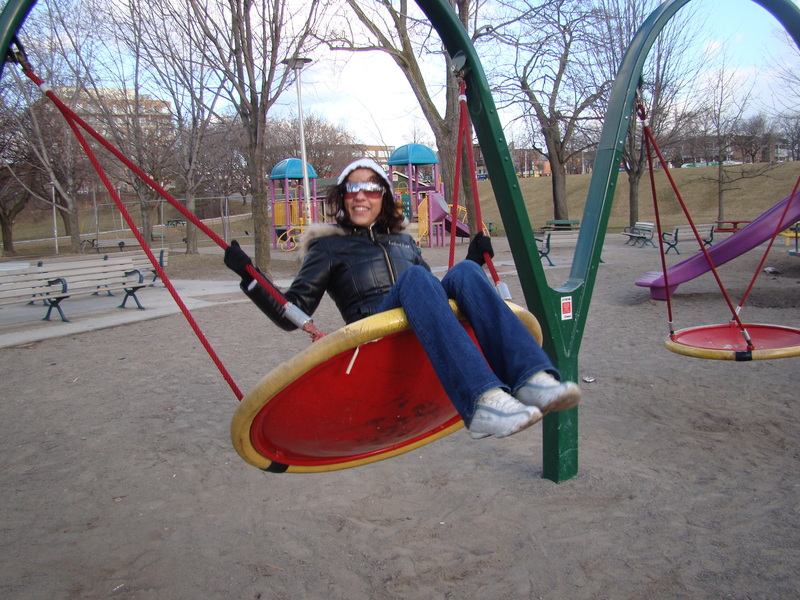 Never mind that she’s in her late 20s, we had a fine time at Christie Pitts swinging and spinning. So smile, stand up and be counted. Take the pledge for play right here. 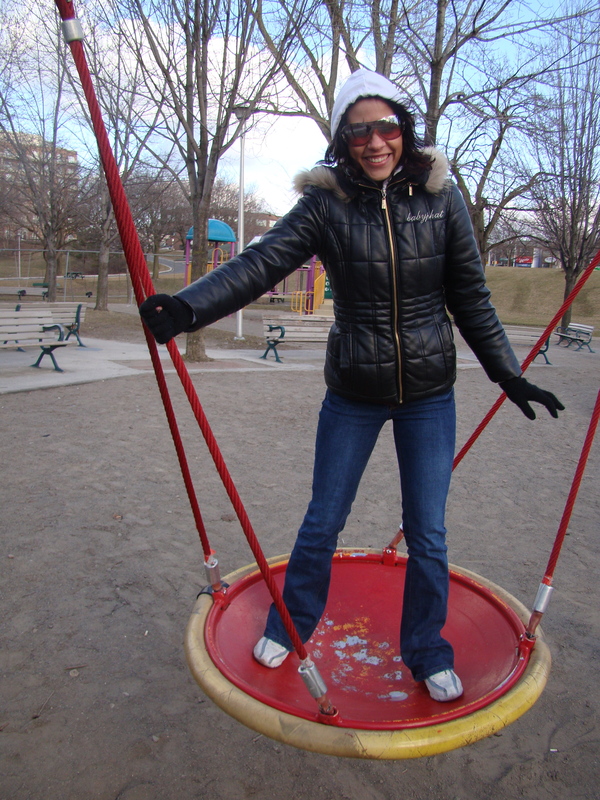 When I get back to Halifax, I’ll be taking my wee ones out to run, climb, take big gulps of air and laugh because to play is to be.